Filaret (Gumilevsky, Dmitry Grigorievich, 1805-1866). 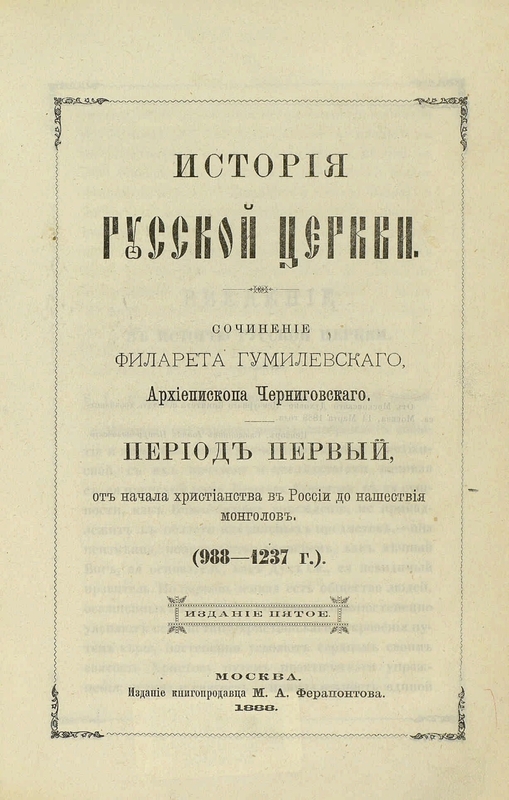 History of the Russian Church / Op. e [piskopa] of the [Izh] F [ilareta]. - 5 th ed. 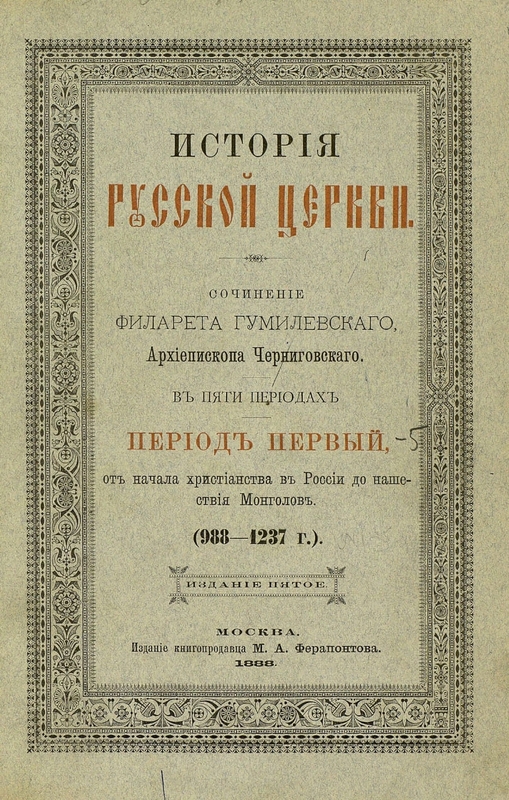 - Moscow: MA Ferapontov, 1888. - 5 tons; 19. - 2 period of care. in Moscow in the type. Alexandra Semyon; 4: in Riga in the type. 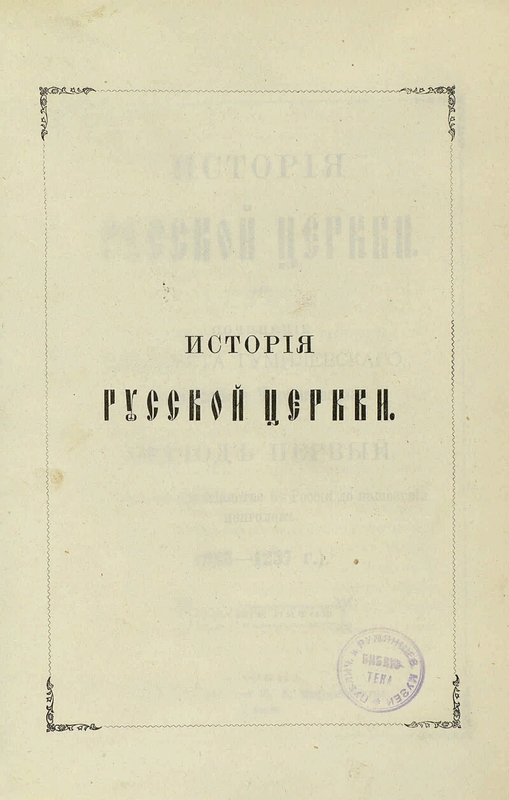 Muller; 5: in Moscow in the type. Gautier and Monichetti Contents: Period one. From the beginning of Christianity in Russia to the invasion of the Mongols. (988-1237 gg. ); Period two, Mongolian. From the devastation of Russia by the Mongols to the division of the metropolis. (1236-1410); The third period. From the division of the metropolia to the establishment of the patriarchate. 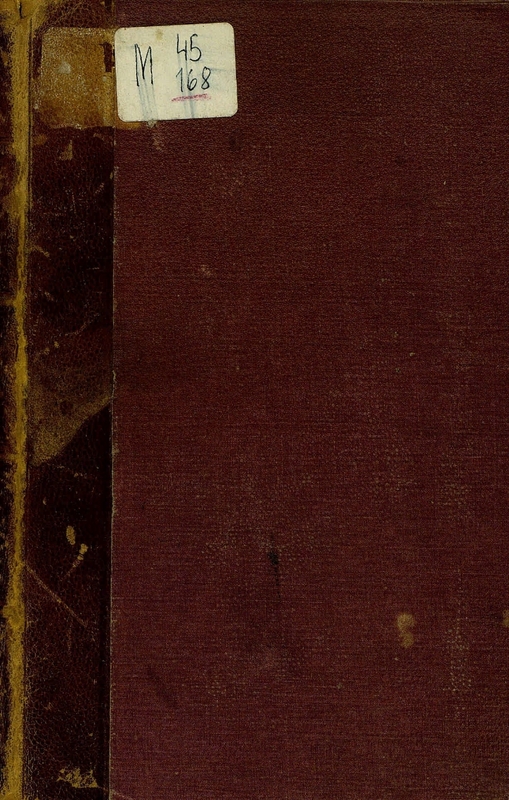 (1410-1588); [The period is the fourth]. The period of the patriarchate. (1588-1710); The period is the fifth. Synodal management. (1721-1826 gg.). - In the 2-5 period of the author. not specified .